Welcome to A-Plan, Eastleigh, your nearest branch. 44-49 High Street, Eastleigh, SO50 5LG mile away. 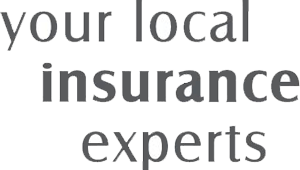 As your local insurance broker, A-Plan Eastleigh has been serving clients in your area since 1993. We have specialist facilities for private car, home & contents and commercial vehicle insurance. We have now been in Eastleigh since 1993, focusing on car, home and van insurance. In this time we have also developed a range of more specialist insurance services, having identified a specific need in the local area. We understand that young drivers find it particularly difficult to get good insurance cover at a reasonable price. We will work with you to identify your specific needs and identify the best cover to meet those needs. Come to us for commercial insurance, including: liability, tools, fleet, shops, offices, blocks of flats and pubs. Our experienced team of professionals will be able to tailor a package to suit your individual needs. Your Eastleigh Branch Manager. Get the right cover at a great price! Put our local team to the test to see how we can help you.